1. 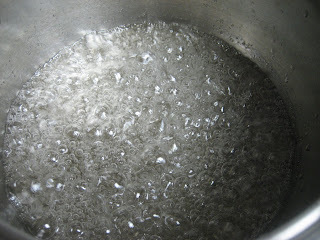 Place the sugar and water in a medium, heavy saucepan. 2. 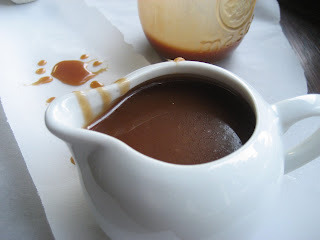 Bring to a simmer over medium heat, swirling occasionally I just swirl the pot and do not use any spatula or wooden spoon. 3. 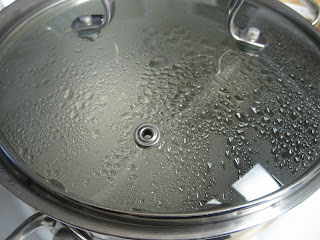 Cover the pan, raise heat to medium-high, and cook for 2 minutes, or until the liquid gives off large, thick bubbles. You will notice some condensation. 4. 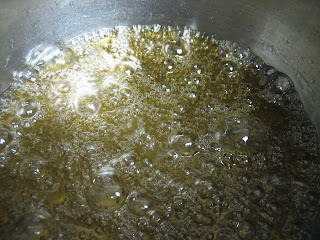 Remove the cover and cook, swirling the syrup, until it turns golden brown. Be careful so as not to over brown or burn. Keep an eye on it ...it shouldn't take too long. 5. 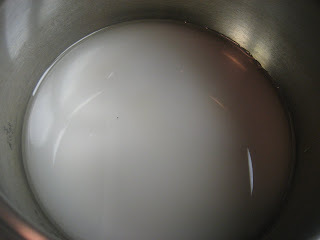 Remove the pan from heat and stir in the butter with a wooden spoon. 6. 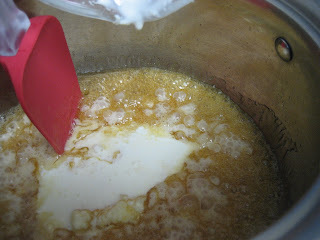 Add the cream, stirring constantly, then add the vanilla or any flavoring you want. 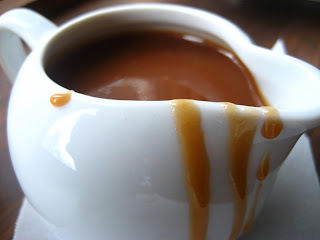 I used Irish cream to make it my own! 7. 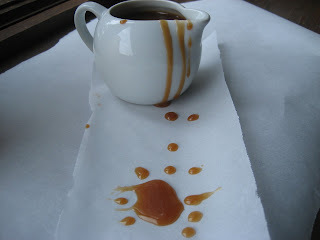 Return the pan to low heat and stir constantly until any lumps have melted and the syrup is smooth. 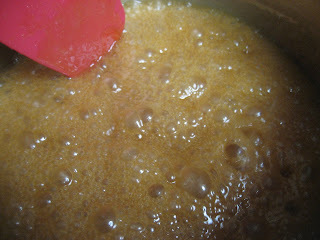 Serve warm over ice cream or cake, or pour into a jar, cover and refrigerate for up to 1 week.